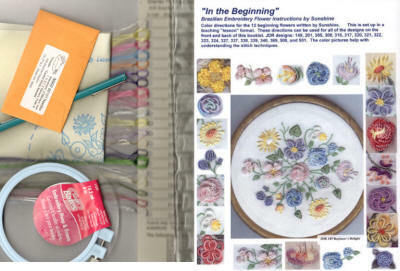 This kit comes with complete instructions, EdMar threads, needles, . In a couple of hours you can have one of these done! This design is also offered as Quilt Blocks. The package contains the Brazilian Embroidery design, directions & picture. 5" finished size. This is individual fabric prints only, NO directions. These are meant to be sold to those who have purchased the book. All 22 Designs on screen printed on fabric. 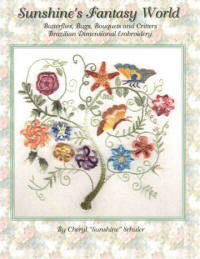 This book has directions for the beginner Brazilian Embroidery stitcher to the advanced stitcher. Opening a skein to stitching double cast-on stitch drizzles over multiple needles! Large diagrams and easy to follow directions. 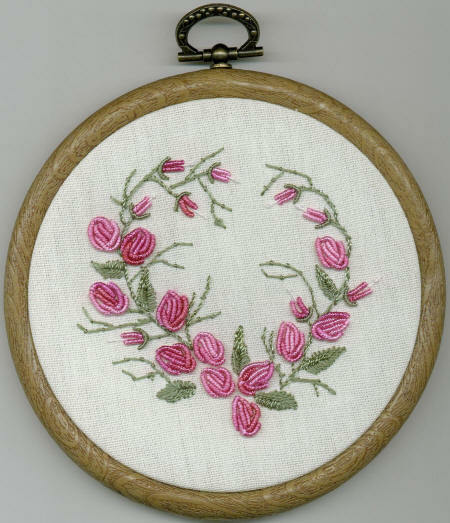 AND 22 traceable Brazilian Embroidery Designs for you to stitch into a quilt, small pictures, satin box tops or onto your clothing.